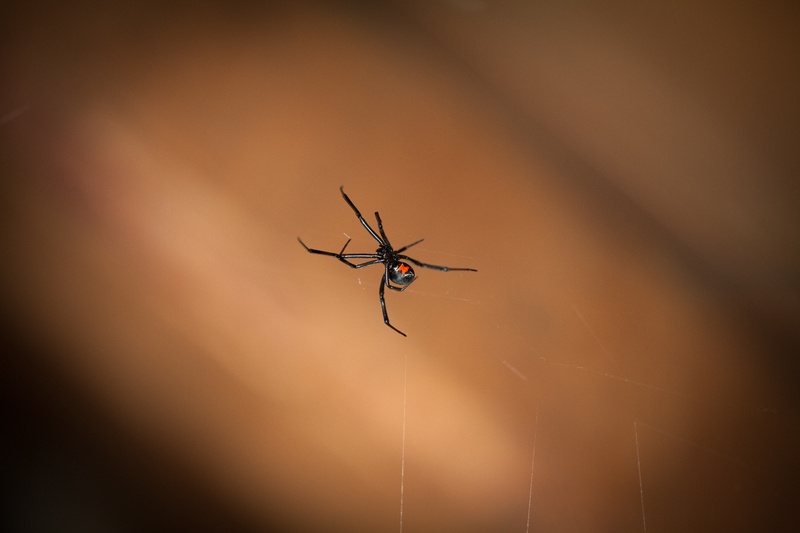 I almost walked into a black widow as I entered my attic. Thankfully, I noticed something black hanging just above my head before just before I did. I took a photo with my iPhone so I could send it to my brothers. Hahahaha. What a joke. I had to break out the macro to actually see what I was shooting. 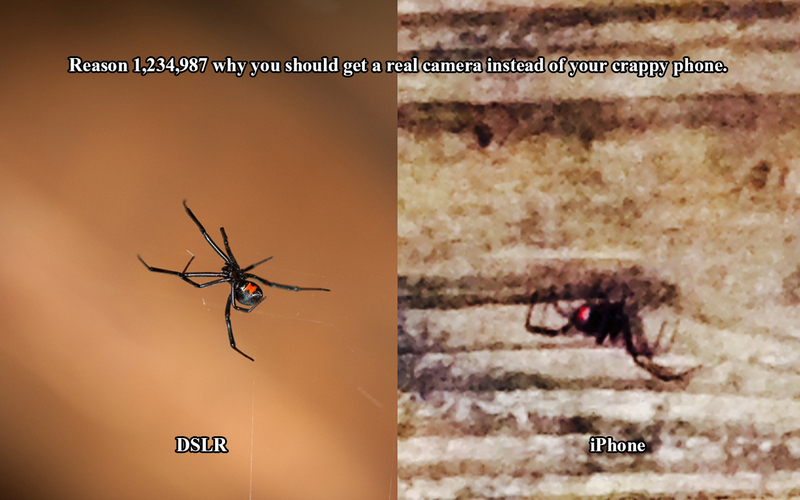 I’m sure the camera phones will get just as good as an SLR, but it’s still a ways away.